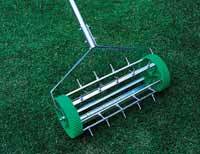 Learn how to aerate your lawn and which types of aerator you can use. Lawn aeration is the key to a healthy lawn and an easy job with the right aerator. Learn how to introduce more air to your lawn's soil using aeration and ensure that your lawn is as healthy as it can be. As time goes by, gravity and your footsteps gradually press the soil down, reducing the air in the ground. You can reverse this process by aerating your lawn, either just focusing on areas of high use or aerating the whole of the lawn area. In terms of when you aerate your lawn, you should be looking to do it once every year – if your soil is mostly clay it may need to be done more often. 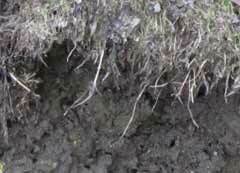 You should wait for a year before aerating newly seeded lawns. Autumn and Spring are good times to aerate, as the best time to aerate your lawn is when the ground is moist-not too dry and not too wet. You can water your lawn the day before to make sure there’s enough moisture in the ground to make penetrating it easy. 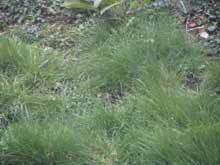 It will also make the job easier if your grass is cut fairly short. 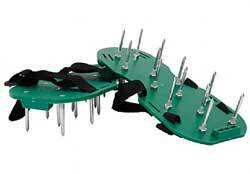 Make sure you mark out any wires or sprinkler heads in your lawn beforehand, as an aerator will damage them. If you’re using a manual Hollow Tine Aerator, or something with spikes, go over your lawn as many times as you think necessary. With a manual Hollow Tine Aerator you should be aiming for the holes to be about 2 inches apart. If you’re cutting into the lawn with a Chisel Aerator or using a hollow tine machine, go over your lawn in one direction only-that should be enough. If you use a Hollow Tine Aerator, try not to roll over the cores with your aerator or tread on them, as this will make them harder to move. The cores won’t rot down by themselves, so don’t just leave them there. The best thing to do with the cores is to let them dry where they are, and to then mow them using your lawnmower with the box taken off. This is a messy job, and may produce a lot of dust, so wear old clothing, protect your eyes and mouth and close any windows facing your garden. If you want to remove the cores, the best thing to use for this is a dummy rake, which is a rake with a single blade across it rather than spokes. 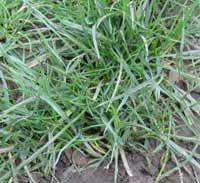 If you’ve got any bare patches in your grass, post aeration is a great time to sow some more seed – it’ll take a lot more easily. Aeration should improve your lawn’s health immediately, but it may take some time to see visible results, so be patient!